Enjoying the outdoors and nature is so enjoyable…until our space is invaded by those biting, stinging, annoying bugs. If you enjoy fragrant flowers and the fresh breeze but not bugs and direct exposure to the sun, consider a screened porch. 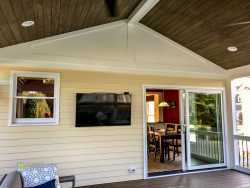 A screened porch design can range from the simple to the elaborate, whatever your needs and unique sense of style. Screens are the most effective way for you to eliminate the insect problem in your backyard. Imagine being able to entertain guests, eat meals outdoors, or just sip that morning cup of coffee in peace and tranquility, without constantly swatting at winged and crawling intruders. A screened porch is an attractive, practical addition to your home, allowing you to enjoy your backyard like never before. Add a few additional features and you can use your screen porch almost year-round depending on where you live. As with our other outdoor creations, screened porches can be made with different materials and designed to reflect your home’s style. The screens may be made from lightweight fiberglass mesh or aluminum mesh, which is more resistant to corrosion. Screens can also be made with heavy metal mesh to give your porch some added security. Tougher screens are also a good choice if you have smaller children or pets likely to be using the porch. 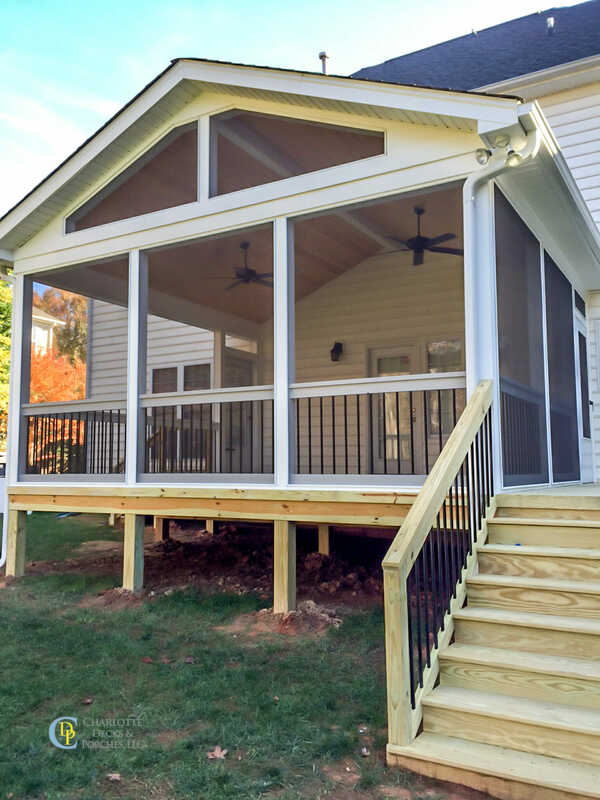 Let our experienced team create a porch design that will provide your family a lifetime of outdoor entertainment! 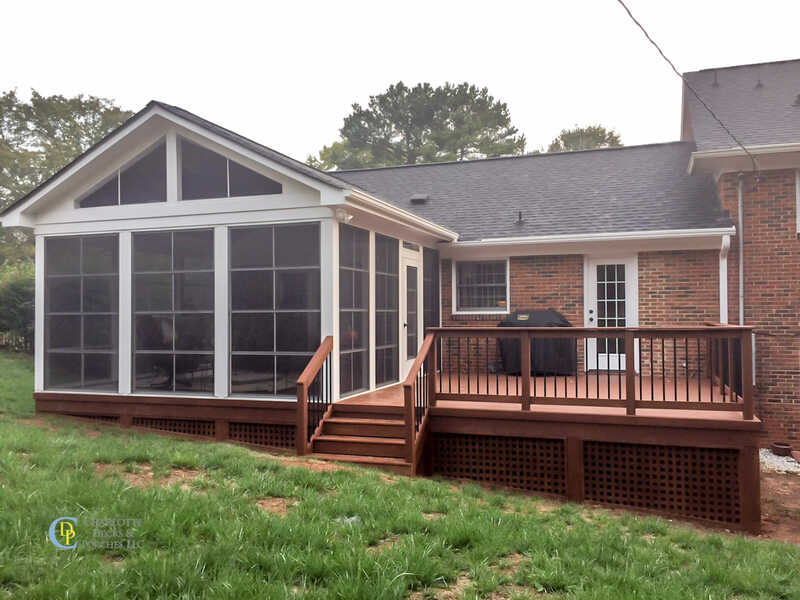 Learn more about Charlotte Deck and Porches revolutionary screened porches by looking at our past projects. Then contact us, and let’s get started planning the screened-in porch you’ve always wanted!